Renting out your home or spare room for short periods on Airbnb and other websites could provide you with a substantial second income. It can be a great way to boost your savings and you could even use it to fund some travel adventures of your own! Best of all, with the Government’s Rent a Room scheme you can earn up to £7,500 tax-free every year from renting out a room or your whole home (as long as it’s your main residence). Plus, any expenses you incur may be tax-deductible*. But renting out your home on the likes of Airbnb is certainly not suitable for everyone. So how do you know if it’s right for you and how do you get started? Our guide to the basics will help you decide whether to do it, where to list your home and how to make sure you’re protected if things go wrong. *always obtain advice from your accountant. Can I rent out my property on Airbnb? If you own your own home then the answer is yes* – but that doesn’t guarantee demand. It helps if you live somewhere that attracts visitors on a regular basis – perhaps near a beach, in a city centre or close to a rural beauty spot. If you have any specialist facilities nearby, you may find you’ve got a good, niche market for your property. For example, do you live in an area that attracts walkers or climbers? Does your area regularly play host to big sporting or music events? *If you have a mortgage, you need to check the terms and make your lender aware that you’re planning to rent out all or part of your home. 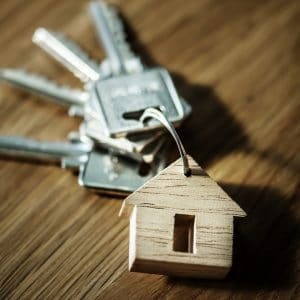 There are a number of websites out there which connect homeowners with people seeking accommodation. Airbnb is still the most well-known, but it’s worth looking at other up-and-coming sites such as Wimdu or Vrumi. The latter is aimed at freelance workers – perfect if you’ve got a spare study or unused office. You can choose to rent out a single room in your home, or to rent out the whole property. If you opt for the latter, you’re probably going to be limited to times when you’re also on holiday. However, if your home town is hosting a popular event which sees demand (and prices) for local accommodation increase, it can be worth your while decamping to friends, family or even a local hotel for the duration of the event. You need to make sure you feel comfortable with the idea of someone else living in your home. If you’re single, would you feel happy about renting out a spare room to a stranger while you’re under the same roof? And if you’re thinking of renting out your whole property, are you okay with other people sleeping in your beds? As well as asking yourself these fundamental questions, you also need to make sure you’re happy to keep the house spotlessly clean for guests, change bedding after every rental, and be available to hand over keys and deal with any issues your guests might face. Rental rates will vary according to where you live, how many rooms you have, the condition of your home, what amenities are on offer, and the demand for properties in your area. The best way to determine a price is to search online for other properties like yours. Gather as much information as possible and use it as a benchmark. Getting started is easy. Just create an account on your chosen website and you’ll be guided you through a series of simple steps to get you up and running. If this is something you’re serious about, it’s worth paying special attention to the photos of your home. You could even consider getting them done professionally. When it comes to describing your home and local area, offer as much information as possible. Prospective renters will want to know what amenities you have nearby, driving distances to local attractions, whether a car is required etc. It’s worth spending some time getting your listing right. Think of it as your home’s CV – you’ll want to show it in the best possible light to attract the most interest. If you plan to rent out a spare room or your entire home, getting proper insurance in place is vital. Airbnb have a ‘host guarantee’ which offers some protection, but there are many exclusions to this, so please don’t assume this will cover you if things go wrong. You’ll need to let your insurance provider know that you’re planning to rent out your property. Failure to do so could invalidate your policy altogether. Most home contents policies don’t cover short-term rentals as standard, but your insurer may be willing to extend your policy for a fee. Alternatively, you could try searching for a specialist insurance provider. If you’re still unsure whether to go ahead, try searching online for groups and forums that are dedicated to this topic. The best way to find out what it’s really like is to learn from others who’ve experienced it.